Picked up a scarily pale pie from Eclipse on Flinders Lane, Melbourne. 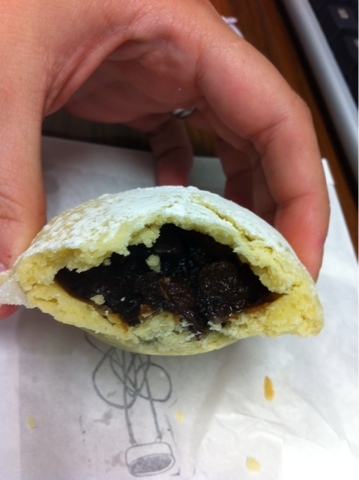 Yes, the pastry was too pale but was delicious and the filling was great, full of chunky bits of fruit. A pricey choice, $3.50, but awesome. Shall have to get one for myself tomorrow!